When we packed up and left the Barossa it was already 32 degrees at 9:30am. We drove west through the grape and farm lands until we passed through Port Augusta where we turned south down the Eyre peninsula towards Whyalla. We stayed overnight at Whyalla and had dinner in the Spencer Hotel. It was still warm when we went back to camp so were glad when a storm blew through bringing the temperature down so we could get some sleep. 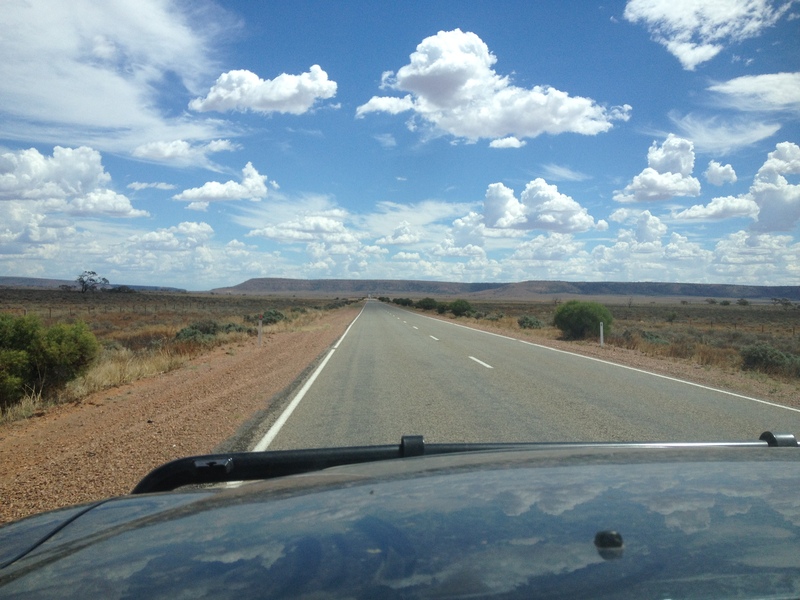 The next day the landscape changed as we headed further west, into the outback. 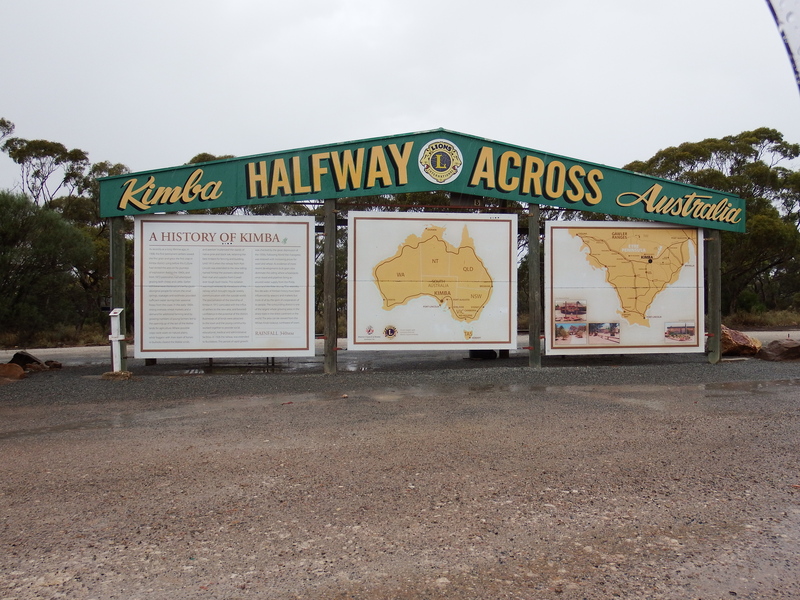 This is apparently the geographic half way point across Australia. 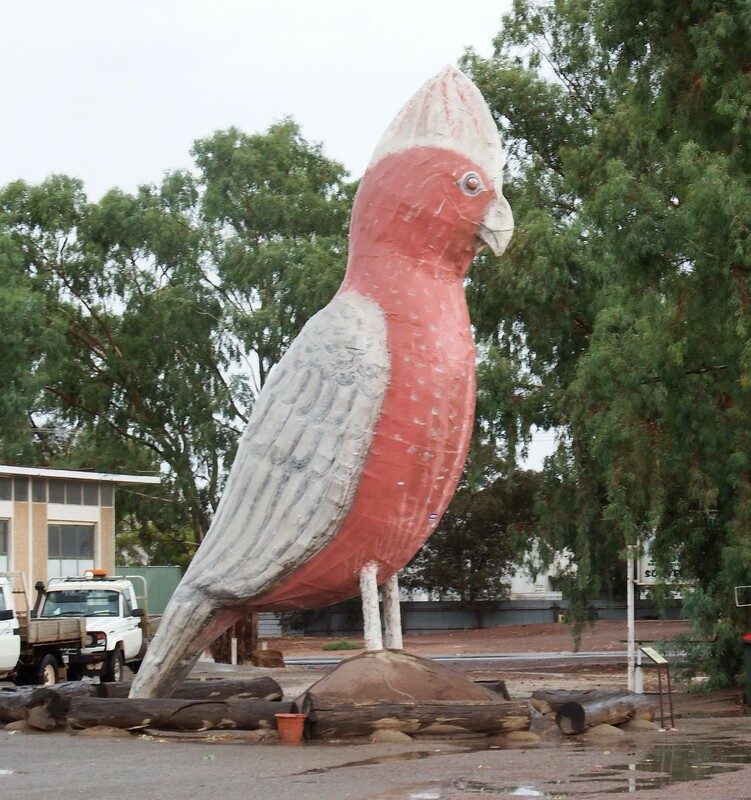 Kimba is also home to the big galah. The eerie looking clouds that had been following us all day finally broke and we had buckets of rain just as we arrived in Kimba. We stopped at the bakery / gem shop where the galah is located and had a pasty. 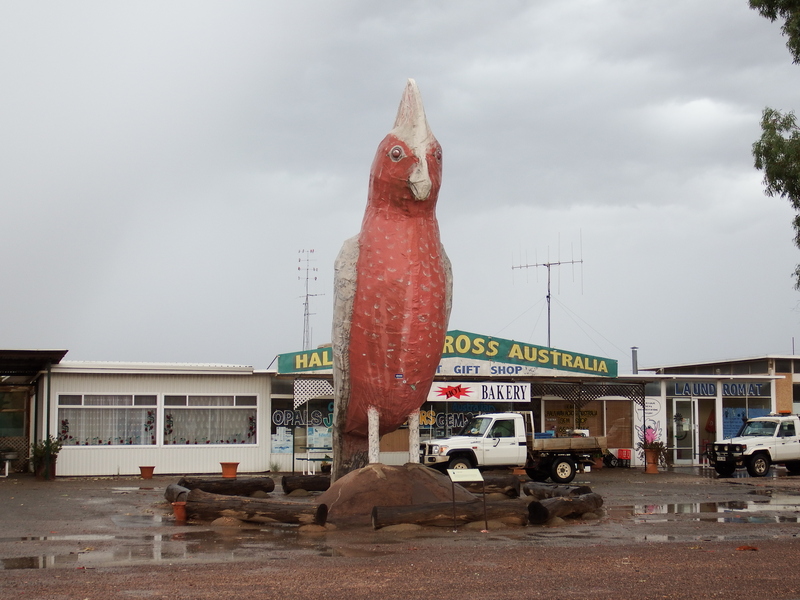 Waiting until the rain cleared we got our happy snaps of the big galah before being on our way again. The storm persisted and we were soon driving through the rain again as we headed south towards Port Lincoln.